Jon Albon racing to his win at the Spartan World Championship in Lake Tahoe. Jon Albon has had a hugely successful year of racing, but he is nothing if not realistic about the Spartan Ultra World Championship on December 7–8 in Iceland. And truth be told, he’s also a bit ornery about it. But he’s also absolutely all-in to win it. The Spartan Ultra event will be ridiculously challenging, and the stakes are immensely rich—uniquely so for the tenacious but decidedly laid-back 29-year-old Brit. You see, there’s a $1 million prize bonus on the table, but it’s only out there for Albon to win. It hasn’t been easy, but the way Albon has been racing this year, it has certainly appeared so at times. He won the first two Spartan championships—the September 29–30 Spartan World Championship in Lake Tahoe and the November 3–4 Spartan Trifecta World Championship in Sparta, Greece—and now, after jetting to a 50K Spartan Ultra qualifying event on December 1 in Malaysia (which he won by more than 30 minutes), he has a chance to win the mother lode payout. 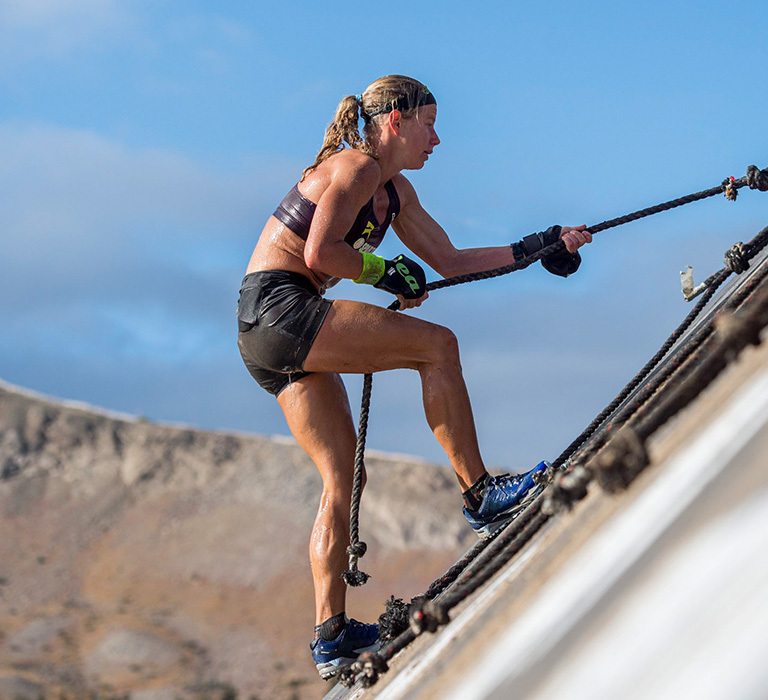 The 24-hour race will be run over a rugged 6-mile course with about 24 obstacles per lap. To win the race, Albon has to complete 100 miles—which means he’ll likely have to finish 17 laps—in 24 hours or less. If that seems daunting, consider that last year’s champion, Boston-area firefighter and medical student Joshua Fiore, covered only 71 miles. If that’s not a big enough ordeal, less than 5 hours of the race will be in daylight, and the weather is expected to be cold with freezing rain or snow likely. Plus, there is a stacked international field that includes Fiore and four-time World’s Toughest Mudder champion Ryan Atkins, who will be among Albon’s toughest competitors. No matter what, it will be a legitimate race. Neither Atkins nor Fiore nor Albon figure it’s possible to work together during the race, and there’s no point since only Albon can win the big bonus. Will Others Team Up Against Albon? No one has been letting Albon win all year, and he’s been cleaning up, especially during the past three months leading up to the Iceland race. In mid-September, he won the Ultra Skyrunning World Championships in Scotland against an elite field by more than 12 minutes. The following week, he dominated the Tougher Mudder World Championships in Seattle, and the week after that, he notched a 15-second win over Ryan Atkins at the Spartan World Championship in Lake Tahoe. Then he won the OCR World Championship in the UK, taking both the short and fast 3K distance and the longer but still fast 15K distance. Although a great success, Albon says 2018 has left him with a brutal toll on his body. From there, he headed to Sparta, Greece, where he won the overall title of all three distances after winning the Sprint race, taking second in the Super race, and winning the Beast race. For good measure, he teamed up with Norwegian triathlete Gudmund Viljo Arponen Snilstveit to win the daunting Original Mountain Marathon, a two-day mountain orienteering race, by 2 minutes. But aside from all of that, Albon admits his body is fatigued from traveling and from an especially long season of racing that has included more than 30 races in a dozen countries. By now he’d typically be into a recovery phase of training that would include more strength work, low-key skiing and climbing, and much lower intensity levels while running. 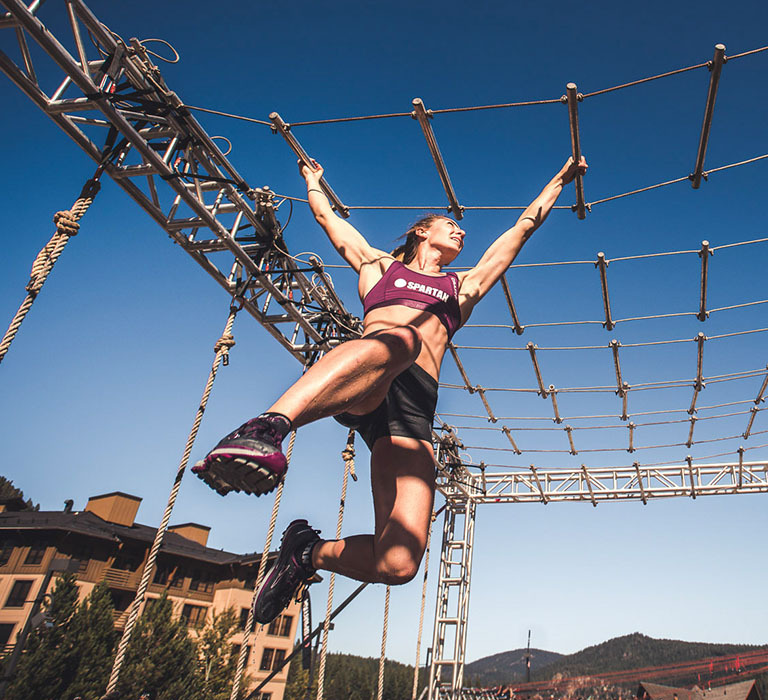 Like Atkins, Albon is one of the most versatile competitors on the obstacle course racing circuit, capable of winning short and fast races as well as long multi-hour slogs. But he’s blunt about the fact that he doesn’t see the benefits of racing for 24 hours. He’s competed in 24-hour races before, but his results have been up and down. He entered the 2017 World’s Toughest Mudder despite being ill, but dropped out after about 5 hours of racing because of lingering illness he experienced in the days before the race. He was part of the winning squads at the World’s Toughest Mudder team competitions in 2015 and 2016 but hasn’t won a 24-hour obstacle course race yet in his career. The Spartan Ultra Champs looks as if it will be a battle royale among some of the titans of the sport. Even though he doesn’t have the chance to win $1 million, Atkins has been training like a fiend. He’s been preparing himself—mentally as much as physically—to suffer in Iceland’s dark, cold conditions. Meanwhile, Albon admits he hasn’t trained much in the last few months because he’s been racing so much. He added a few extra long runs in the mountains near his home in Bergen, Norway, but he knows he’ll have to trust his training and go into the race with the notion that it’s a battle of attrition more than it is an endurance race. Albon racing to his win at the Trifecta World Champs in Sparta, Greece. While Spartan events typically don’t require excessive amounts of gear, Albon plans to have a trunk full of clothes and accessories ready for this Spartan Ultra. The most important piece of gear will likely be his shoes, but that depends on the conditions. Although the ground will likely be frozen or even icy, studded or spiked shoes are prohibited. Instead, he’ll take two models of the VJ Sport shoes that he typically uses for skyrunning and orienteering events; both offer good traction and a wide toe box. He was also considering a pair of Saucony Peregrine 8 ICE+ with two types of outsole rubber specifically engineered to provide good traction on ice. Because there are no water obstacles, he won’t be wearing a wetsuit (as Robert Killian did for much of the race last year en route to a fifth-place finish). Instead, he’ll dress in layers for breathability and to adapt to the temperature and precipitation. A comfortable wool top and tights, a waterproof jacket, windproof pants, and possibly an insulating top will be key, he says, as will a warm, breathable hat. One of the biggest unknowns is the type of glove he’ll wear—either a warm insulated pair or a more grippy, articulated pair that will perform better on obstacle climbs, bar hangs, and carries. He’ll fuel by taking some Clif gels, energy bars, and warm sports drinks out on the course with him (“but not the sweet ones”) and supplement that in the pit station every lap with more hearty food—most likely a warm rehydrated camping meal in a pouch. Ultimately, Albon hopes to be in it to win it. But if he falls off pace too far halfway through, he might call it a season and be done with it. Start preparing for your next Spartan challenge: Download our free obstacle training guide.